CyCHART is at the foundation of Cyfluent’s quality medical software suite. 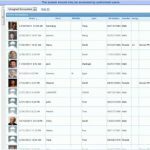 The system offers dynamic medical charting in a web-based interface that is secure and offers easy access to a patient’s health data from anywhere around the world. 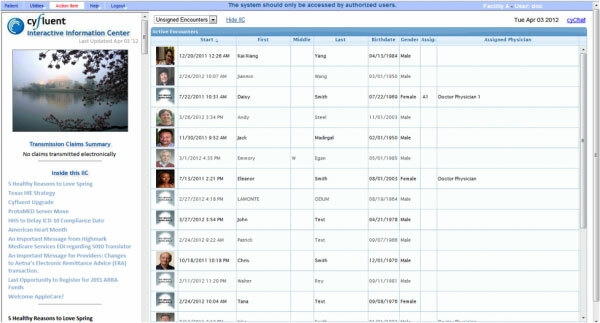 The software also allows clinicians to collect patient medical information electronically during their visit. The rich functionality of this system is further backed by real-time support by Health IT experts. The company also offers in-person training which makes CyCHART an excellent option for small ambulatory practices. 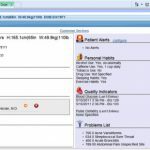 Owing to its web-based nature, clinicians don’t have to pay any large up-front costs for implementation and hardware. The pricing of CyCHART is a low monthly subscription that depends heavily on the number of providers in a medical practice. CyCHART automatically develops a Health Risk Assessment which allows both the medical practice and health insurance company to review and address any risks that they may encounter. The software also offers user-friendly modules for chronic disease management, clinical flowcharts, e-prescribing, and nutritional notes. 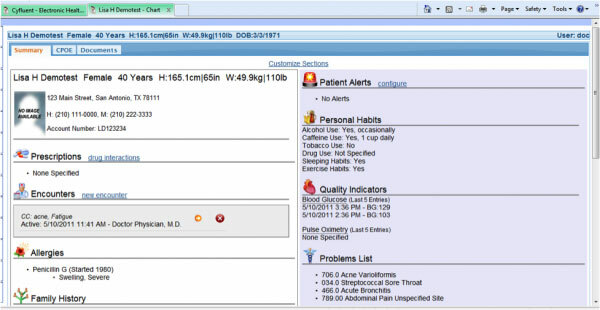 This EHR is ONC-ATCB 2011/2012 certified for ambulatory care and is also Meaningful Use compliant. If you are a medical practice looking for a web-based Electronic Health Records (EHR) system designed for ambulatory practices looking for an affordable Health IT solution that can be implemented quickly, then this might just be the system you need! 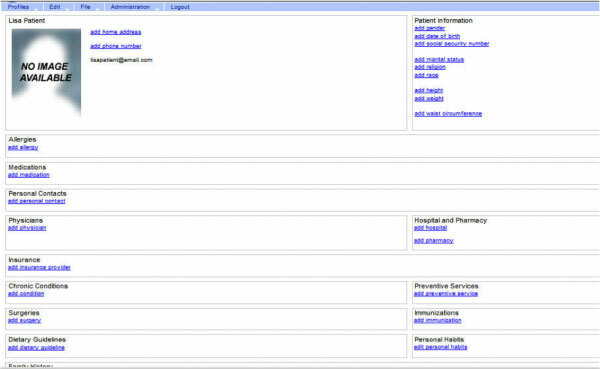 Pros: This was the first real EHR system our company used. 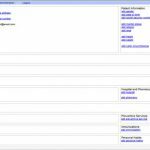 We were a small business and went from Outlook to utilizing this system. Having a great experience. Cons: Minimal options for customizing the schedule and templates. Basic platform. It works&comma; but can definitely be improved upon. Rest of the features are great. Pros: So far I enjoy the features of the software&comma; just not the billing of claims. It is neat the way you can pull up the eob and hit the button and it puts in all the info for you with one click. Very time saving feature. Great software. Cons: Having to submit claim on a daily bases&comma; as too many claims especially for the paper claims waste time. Pros: The best software I have seen and used. I have reviewed and worked with 7 software companies. The solid base of the platform&comma; it is customizable and responsive. The learning process is very easy. Cons: The scheduled drugs are not able to be scheduled into the future for the software to prompt for refills. Ease of use can be improved. Pros: Promoted is a great program to use. Support is always available. They created a custom interface to download webPT claim files that saves us hours of work a day. Pros: Notes can be customized to your practice needs. Support is wonderful. Cons: If there is a problem with the system everyone should be notified about it can be done using a release note form. Pros: Fairly easy to navigate through. Pros: It is super user friendly and the support is wonderful. The students and instructors are happy with it.